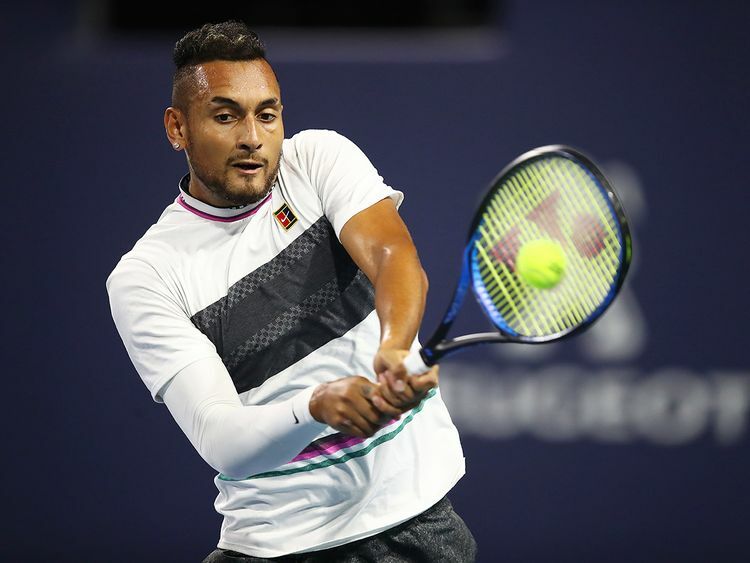 The Australian has been sanctioned for a litany of tennis offences, but in dinking the ball over the net with a sneaky under-arm swing, Kyrgios was operating completely within the laws of the game, if not quite the “spirit”, as Nadal and others might have complained. The 23-year-old has clearly put some time into honing the tactic since his effort against former world No. 1 Nadal floated well beyond the service box. The first attempt at 3-1 in the first set against unseeded Lajovic might have been regarded as textbook execution. With the Serb standing well behind the baseline, Kyrgios leant over the ball, bounced it a few times and without looking up, flicked it just over the net. “The whole point of tennis competition is to disrupt your opponents game by applying pressure through changing the speed, spin, direction, depth or height of the ball,” the former Fed Cup captain and mother of Andy Murray tweeted. In the women’s draw in Miami, Simona Halep broke Venus Williams in the first game of their match and never looked back as she coasted to a 6-3, 6-3 victory to book her ticket to the quarter-finals.